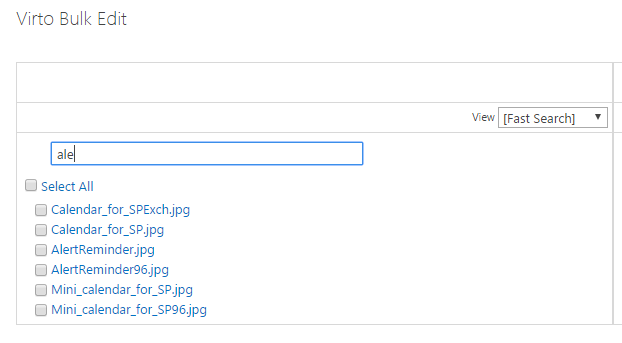 If you use Tree View, you can select files to edit from child folders. Select files that have to be edited, define field settings and click OK or Apply. 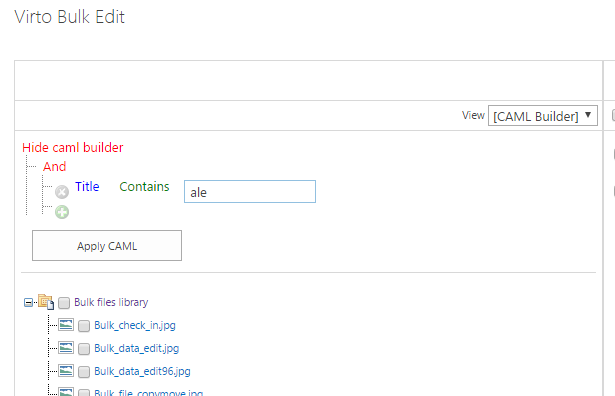 CAML Builder allows you to define search parameters for files in a library and filter them to edit. You can set conditions to display only required files from this library. When you have made all the required modifications on the displayed page, click “OK” to save them. The result of editing will be applied to the list.